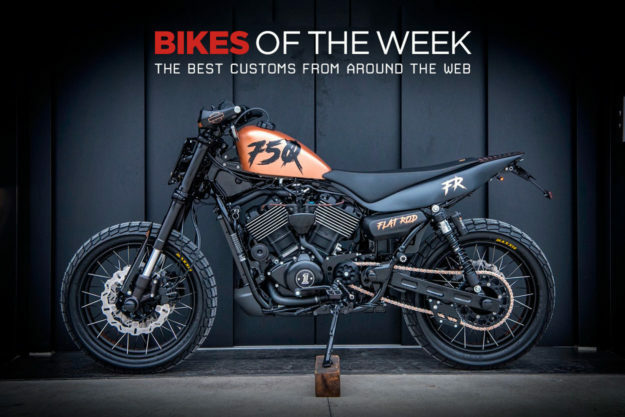 A sharp-looking tracker-style Harley Street Rod, a production-ready eCub from Shanghai Customs, a peek at the new Curtiss Warhawk, and the stunning new Magni Filo Rosso limited edition. We’re stretching the envelope in all directions this week. Shanghai Customs eCub 2 While most of us around here will fight to keep our internal combustion motos around forever, a digital revolution is undoubtedly underway. In China, the petrol powered scooter has all but gone the way of the Dodo, meaning the majority of their 2-wheelers are powered via silent, efficient electrons. But the move to batteries doesn’t have to be a bad thing. And certainly not an ugly thing. Case and point: the eCub 2. 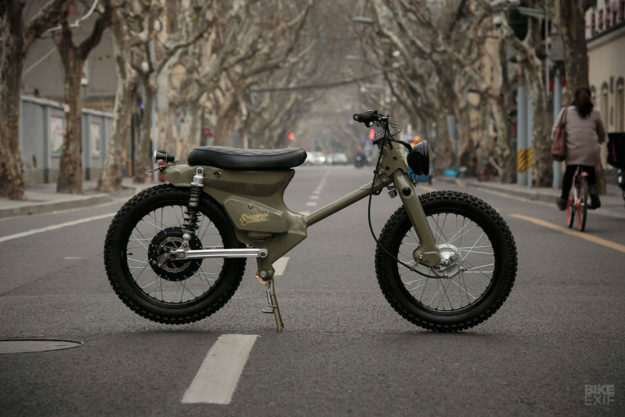 We discussed the reasons why people within the Republic went electric when Shanghai Customs’ first eCub dropped last year. 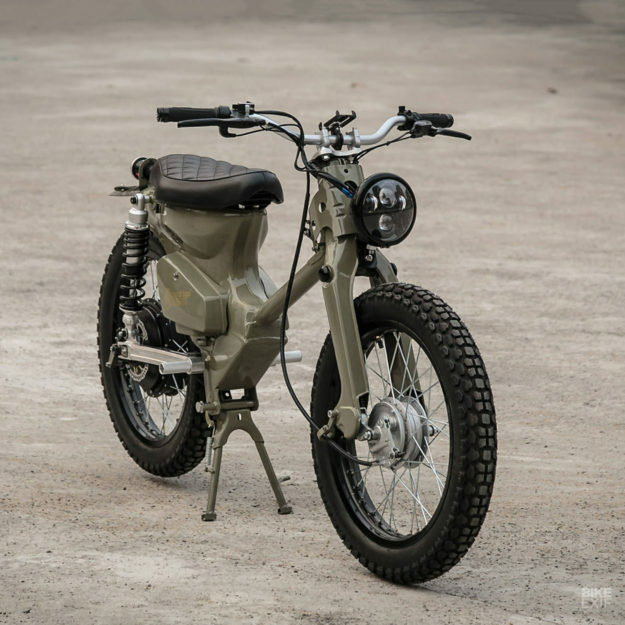 The eCub 2 is the latest production-ready version to hit the streets and where it differs from version 1.0 is that this is a complete package—including the stamped Cub frame—and not a conversion kit. There are some other changes from the original as well, notably power being supplied via a 1000W rather than 2000W motor, which eliminates issues with the controller limiting current. Combined with the bespoke, removable Panasonic lithium-ion battery pack, it translates to a 40 km ride range at an average of 45 kph. You’ll also notice this one has done away with the ultra-minimalist lighting. There’s now an LED ‘daymaker’ style retro unit up front, and a much larger LED taillight in the rear. That not only gives riders a better fighting chance in congested streets, but gives the eCub 2 a cooler look overall, IMHO. 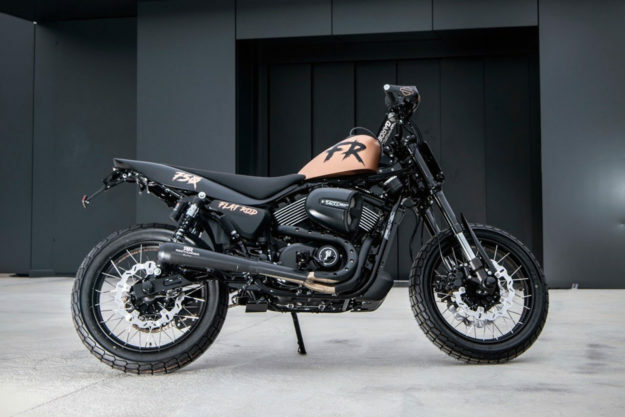 Street Rod tracker by Harley-Davidson Lugano Rather than build their own version of the flat-trackin’ XG750R, Gabriele Gardel, the man behind H-D Lugano, wanted something unique for his Battle of the Kings entry. 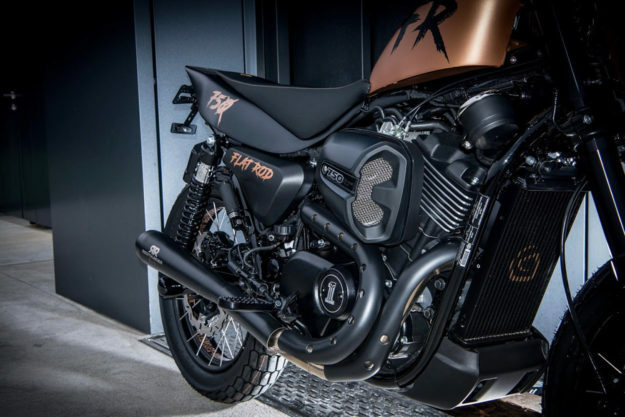 So with the help of his main men at the shop, Giacomo Notarrigo and Paolo Regazzoni, he’s delivered Flat Rod—a delectable take on Harley’s Street Rod. With its combination of an enduro racer’s stance and a street tracker’s looks, Flat Rod is ticking just about every box we have around here. 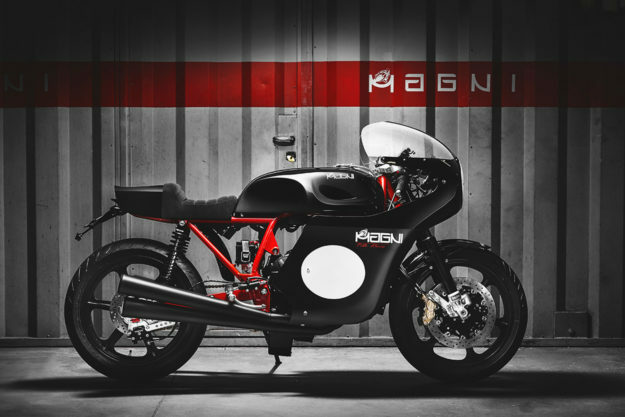 And with only €6000 to spend on parts, Giacomo and Paolo were forced to fabricate a number of items for the build. The tiny peanut tank and flattened enduro-style seat and tail deliver a rock-hopping demeanor that’s echoed by the beefier suspension at both ends. Twin stacked headlights shine the way from their perch on the new number plate up front and the stock gauge has been shifted down and to the right to keep the dash free and clear. The headers remain stock but the exhaust pipes from Monte Carlo-based Red Thunder appear to sit low enough to avoid melted boots. They look the business and should give some bark to the liquid-cooled 750 V-Twin. 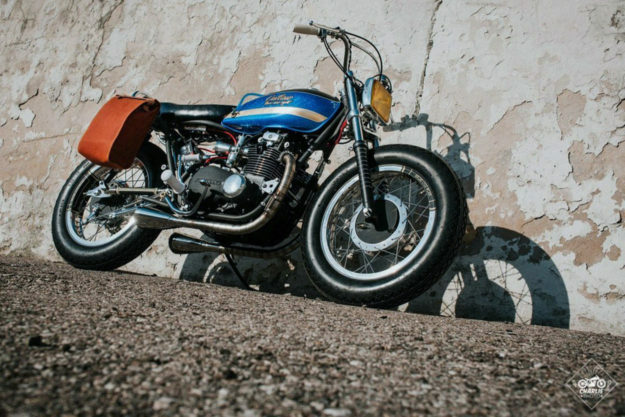 Kawasaki Z400 by Unique Cycle Work Nicknamed ‘Outlaw—Three Nine Eight,’ this Z400 walks the lines between bobber and scrambler styles. I’d normally argue that shouldn’t work, but Marco Pucciarelli and Vincenzo Innella of Italy’s Unique Cycle Work (not to be confused with the Swedish shop of a similar name) have put together something rather tasty. Maybe it’s the 70s-inspired paint on the tank. Maybe it’s the exquisite welding on the custom exhaust. Then there’s the repurposed rectangular Alfa Romeo lens used as a headlight, and the bell from a child’s bicycle. But then I noticed that the airbox has been discarded, and the electrics are now housed in something that looks like an old amp I once owned. The suspension has been modernized via a set of Hagons in the rear, and the rear frame loop is also shock mounted for extra passenger cushioning. The new Curtiss Warhawk With the release of the Warhawk, there is cause for multiple celebrations. 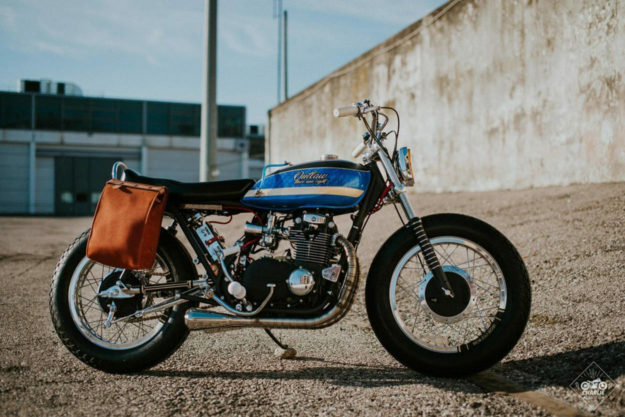 Firstly, this marks the first Curtiss Motorcycle to be produced in over 100 years. For non-historians out there, Glenn Curtiss is the father of the American V-Twin. 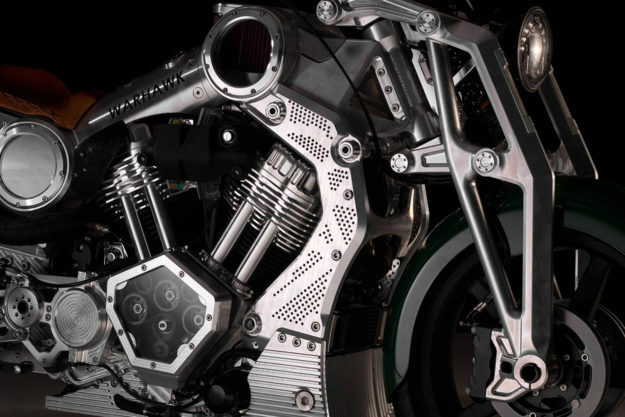 Secondly, the Warhawk is the first motorcycle to be released by the artists previously known as Confederate Motorcycles under their new banner. 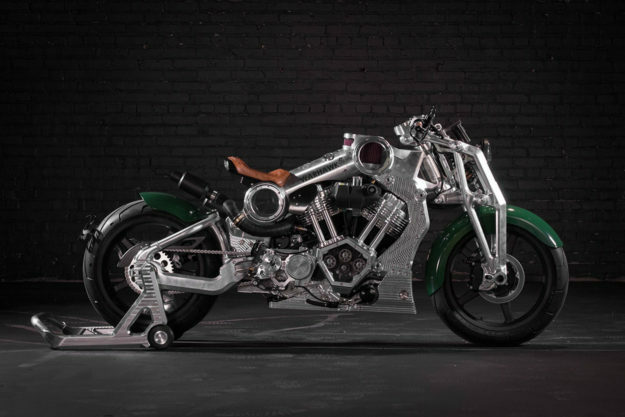 And lastly, the Warhawk will be the final internal ICE-powered bike from Matt Chambers and his crew—so you know it has to be special. The Warhawk is the culmination of 27 years of research and development into V-twin power. As Matt puts it, “There are no more rabbits we can pull out of the proverbial hat.” To that end, the P-51 derived motor cranks out 150 horses (at the wheel) and generates a stonking 160 lbs-ft of torque. The monocoque chassis is lovingly machined out of T6 aluminum; full of fluids, it will tip scales at 570 lbs. Many of the hallmarks of Confederate design carry over to the Warhawk, including the gorgeous double-wishbone front end, and the beefy seven-inch aluminum spine. But it sets itself apart visually thanks to the green paint on the fenders, chosen to pay homage to the Curtiss P-40 Warhawk fighter plane. 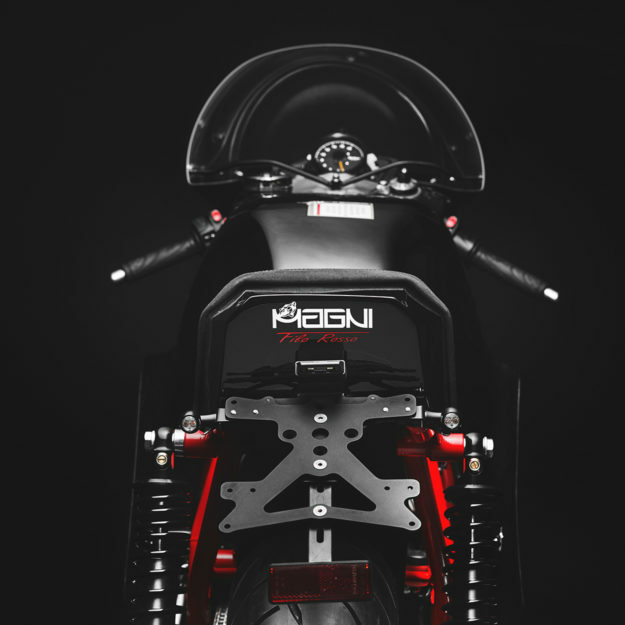 The Magni Filo Rosso limited edition motorcycle Under Arturo Magni’s direction, MV Agusta won an incredible 3000 races and laid claim to some 75 World Championships. So it should come as no surprise that his son, Giovanni, has a penchant and some panache for building race ready MVs. 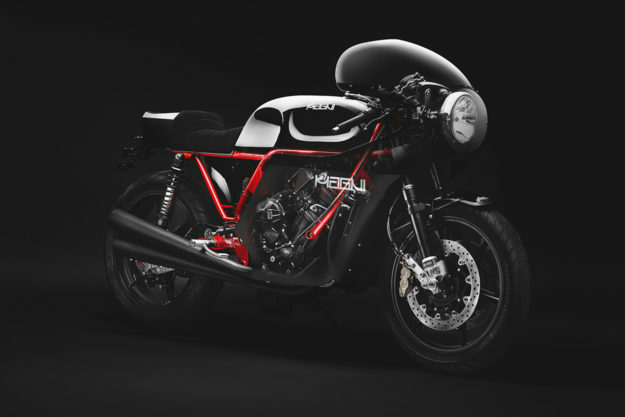 The original Filo Rosso sported the iconic Agostini livery but this latest batch comes darker than night. Dubbed the ‘Black Edition,’ the exquisite han- beaten aluminum bodywork foregoes the red and silver lacquer for a heavy dose of gloss and matte black. It creates a sinister visual that should appeal to Bruce Wayne types. Of course, being a Magni creation there remains a splash of red—and the tubular chromoly cradle frame is an absolute standout this time around.